In 2016 I suffered from a cardiac stroke and then several setbacks came along on the health front that led to interruptions and delays. I doggedly continued and finally the book was completed by August 2017 for processing at the publisher’s end. 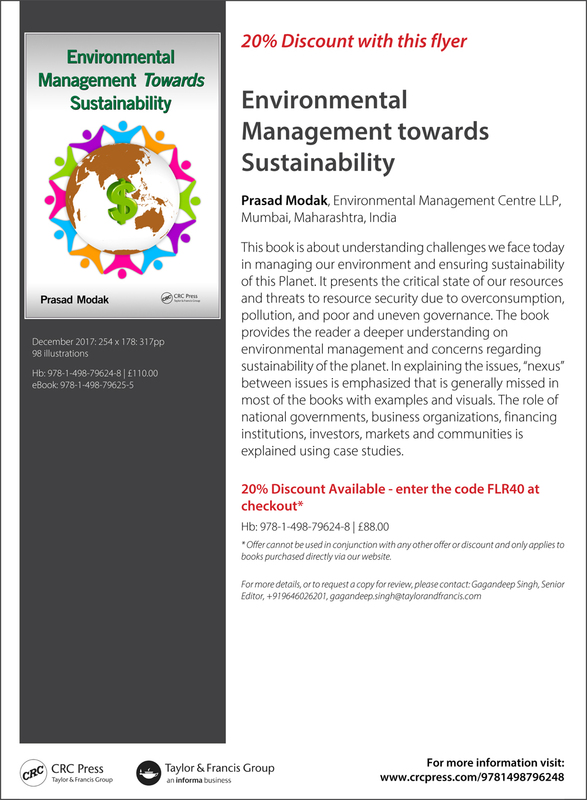 My last twenty years of consulting practice at my company – Environmental Management Centre LLP – greatly helped me in this endeavor. My colleagues at EMC played a key role in helping me to pull the examples, doing proof-reading and in referencing.